The European Commission welcomes today’s vote in the European Parliament on InvestEU, the programme to boost investment in Europe in the next long-term EU budget. This vote brings InvestEU one step closer to its creation. President Jean-Claude Juncker said: “The Investment Plan put Europe back in business and delivered on this Commission’s number one priority: creating jobs and growth. But we can do more and that’s what InvestEU is about. By making smart use of the EU’s budget, InvestEU will help Europe stay an attractive place for investors worldwide. Over the next decade, the programme will unlock at least €650 billion for Europe to invest in its future, its economy and its people.” Vice-President Jyrki Katainen, responsible for Jobs, Growth, Investment and Competitiveness, said: “The next generation of investment support in the EU is almost there. Soon, businesses and entrepreneurs will get easier access to EU funding to turn their ideas into concrete projects. It will help keep the EU at the forefront of innovation and climate action, while creating jobs and ensuring a growth model that is socially, environmentally and economically sustainable.” InvestEU will make EU funding for investment projects simpler to access and more effective. Building on the success of the Juncker Plan, it will bring together under one roof and with a single brand the European Fund for Strategic Investments and 13 other EU financial instruments currently supporting investment in the EU. A press release and a memo are available online. The European Parliament endorsed today the provisional agreement reached by the co-legislators on the future European Defence Fund (EDF) for the next budget period from 2021 to 2027. The European Commission proposed the European Defence Fund in June 2018. Elżbieta Bieńkowska, Commissioner for the Internal Market, Industry, Entrepreneurship and SMEs, said: “I welcome today’s vote by the European Parliament. More defence cooperation in Europe is essential to address the growing global instabilities and cross-border threats to our security. It is clear that no country can do this alone. The endorsement of the European Defence Fund will allow us to significantly step up our defence cooperation and allow Europe to become a stronger security provider for our citizens.” In June 2018 the Commission proposed a fully-fledged European Defence Fund worth €13 billion under the next EU long-term budget to cover defence research as well as the development of joint industrial projects in the field of defence. The budgetary aspects and some related horizontal provisions of the future EU space programme are subject to the overall agreement on the EU’s next long-term budget, proposed by the Commission in May 2018. The full statement is available here. The Commission welcomes the European Parliament’s final votes on legislation putting in place the building blocks of a Capital Markets Union (CMU). This adoption of a substantial number of proposals constitutes another step forward in the completion of the CMU, one of the Juncker Commission’s top political priorities. The Capital Markets Union project has been at the heart of this Commission’s ambition to boost growth in Europe, invest in innovation and promote the EU’s global competitiveness. With now 11 out of 13 proposals agreed, the CMU will become a true driver of investment in the Single Market, providing additional sources of financing to EU companies and opportunities for citizens to save for their future. The CMU channels investment to environmentally-friendly projects, thereby contributing to the EU’s sustainable and carbon-neutral agenda. A strong CMU is also necessary to complement the Banking Union in order to strengthen the Economic and Monetary Union and the international role of the euro. Commission Vice-President Valdis Dombrovskis, responsible for Financial Stability, Financial Services and Capital Markets Union, said: “The Capital Markets Union will enable companies to find more funding opportunities both domestically and across the Union and provide consumers with more choices to save for their future. Alternative market-based sources of financing are particularly important to finance innovation, entrepreneurship and start-ups, which are main engines of job creation. While the project will benefit all Member States, it will particularly strengthen the Economic and Monetary Union by promoting private risk-sharing”. Jyrki Katainen, Commission Vice-President, responsible for Jobs, Growth, Investment and Competitiveness said: “The Commission has delivered on its commitment to put in place the building blocks of a Capital Markets Union by 2019. The CMU contributes directly to the Juncker Commission’s commitment to boost investment, jobs and growth by diversifying market-based finance for European companies. We have now laid the foundations for the CMU and efforts must continue into the next mandate so that businesses big and small, investors and savers can continue to reap the benefits”. Overall, all the adopted proposals will contribute to expanding the CMU’s objectives of innovative financing and creating more investment opportunities from the local to the European level. Each of them covers a specific scope of action. A full press release is available online. The European Parliament today voted in favour of two ‘Europe on the Move’ – initiatives: on trade facilitation in maritime transport and clean vehicles in public procurement. The proposal to establish a European Maritime Single Window environment replaces the Reporting Formalities Directive. The new, fully harmonised reporting environment for ships will significantly reduce the administrative burden on the maritime sector, improving competitiveness. It will also make it easier for operators and authorities to work together, facilitating the exchange of data and avoiding duplications. The proposal to reform the Clean Vehicles Directive mobilises public procurement for the decarbonisation of our transport, giving a solid boost to the deployment of clean mobility solutions.The proposed Directive introduces a definition of clean vehicles and sets minimum targets for their public procurement in each Member State. The two texts will now need to be formally endorsed by the Council of the EU before they can enter into force. The European Parliament today approved the first-ever EU-wide CO2 emission standards for heavy-duty vehicles. The new rules set targets for reducing the average emissions from new lorries for 2025 and 2030. The new CO2 standards are part of the clean mobility package. They contribute to the modernisation of Europe’s transport sector and the transition towards a climate-neutral economy, in line with the EU’s commitments under the Paris Agreement and the implementation of the Energy Union. Commissioner for Climate Action and Energy Miguel Arias Cañete said: “Today’s vote is a key milestone: the heavy-duty transport sector can play an essential role in Europe’s transition towards a climate-neutral economy. These first-ever EU-wide targets and incentives will help EU industry embrace innovation towards higher fuel efficiency and zero-emission vehicles and consolidate its current leadership position on innovative technologies, while bringing fuel cost savings to transport operators and cleaner air for all Europeans.” Following this approval by the European Parliament, the Council of Ministers will finalise the formal adoption. This endorsement will be followed by the publication of the text in the Official Journal of the Union, and the new legislation will enter into force 20 days after publication. Further information about reducing CO2 emissions from heavy-duty vehicles. The European Parliament approved today new EU company law rulesfor a modern and fairer internal market, proposed by the Commission in April 2018. They will make it easier for entrepreneurs to register their companies online and across borders, set up new branches or upload documents on the online business register. Going digital will make the process of setting up a business more efficient and cost effective. The new rules will also facilitate cross-border moves, mergers and divisions of companies, while insuring better protection of the rights of employees, minority shareholders and creditors involved in those companies. First Vice-President Frans Timmermans said: “The new company law rules will give new opportunities to EU businesses to move and grow, in particular smaller companies. At the same time, the new rules will put in place strong safeguards to protect employees’ rights and, for the first time, to prevent abusive operations. The EU has been grappling with this issue for years now, and it is a real shared achievement that after failed proposals in the past, we have been able to crack this and in record time”. Věra Jourová, Commissioner for Justice, Consumers and Gender Equality added: “By using digital tools, companies will save time and money when they launch a new business or branch and update information available on business registers. The new rules will facilitate cross-border operations for a fairer and deeper internal market byproviding clear procedures for companies, which will cut costs and save time. They will also provide strong safeguards to protect the rights of employees, creditors and minority shareholders.”More information on the Company Law Package and the related factsheet are available online, as in previous statements on digitalisation and on cross-border mobility. Aiming to generate almost €700 billion in investments, the ‘InvestEU’ initiative replaces the current European Fund for Strategic Investments (EFSI, which was part of the ‘Juncker-Plan’) that was set up after the 2008 financial crisis. better climate protection: a target of “at least 55%” of the investment under part of the programme reserved to support sustainable infrastructure was set for climate and environment objectives. The report by co-rapporteurs José Manuel Fernandes (EPP, PT) and Roberto Gualtieri (S&D, IT) was adopted with 463 votes in favour, 64 against and 29 abstentions. Roberto Gualtieri (S&D, IT), co-rapporteur and Chair of the Economic and Monetary Affairs Committee: “With InvestEU, we are shaping the future of the EU towards more investments to support small and medium-sized enterprises as well as local projects. Moreover, we strongly link this new tool with the incentive to support Environmental, Social and Governance projects, promoting culture and ensuring ethical and sustainable finance”. Parliament has now closed its first reading, including parts already agreed with member states (press release on agreement with member states here). The text of the provisional deal can be downloaded here, with parts highlighted in grey which have not yet been agreed with the EU ministers. 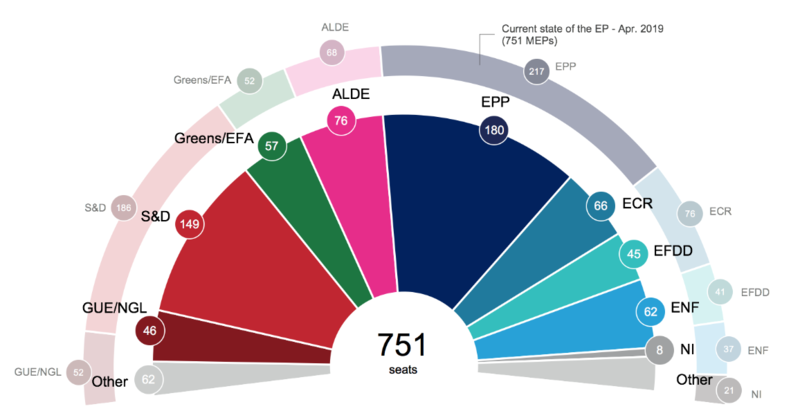 The newly elected European Parliament will continue talks with EU ministers. InvestEU aims to bring together the various EU financial instruments currently available (among others: the European Fund for Strategic Investments (EFSI), the Connecting Europe Facility instruments, specific facilities under the Competitiveness Of Small and Medium-Sized Enterprises (COSME) programme, as well as specific guarantees and facilities under the Employment and Social Innovation programme (EaSI)) in order to benefit from economies of scale, and expand the Juncker Plan’s model (i.e. using guarantees from the EU budget to bring in other investors). InvestEU will consist of the InvestEU Fund, the InvestEU Advisory Hub and the InvestEU Portal (More information). The new legislation, informally agreed between MEPs and the Romanian Presidency of the Council in February, was adopted with 474 votes in favour, 47 against and 11 abstentions. It requires CO2 emissions from heavy-duty vehicles such as trucks and lorries to be reduced by 30%, by 2030, with an intermediate reduction target of 15%, by 2025. Also by 2025, manufacturers will be required to ensure that at least a 2% market share of the sales of new vehicles is made up of zero-and-low-emission vehicles, to counteract steadily increasing road traffic emissions, of which around one quarter is accountable to heavy-duty vehicles. In addition to this, the European Commission will have to propose new post-2030 targets, in 2022, in line with the Paris Agreement. “It is a great success that the EU is taking action for the first time on CO2 emissions from heavy duty vehicles. The regulation will help to reduce pollution on our roads and to improve air quality. The Council will need to formally approve the text before it can enter into force. Heavy-duty vehicles are accountable for 27 % of road transport CO2 emissions and almost 5 % of EU greenhouse gas emissions (2016 data). Since 1990, heavy-duty vehicle emissions have increased by 25 % – mainly because of an increase in road freight traffic. These are projected to increase further if new policies are not adopted and enforced. With a share of 72% of EU soya beans imports, the U.S. is today Europe’s number one supplier. Conversely, Europe is the top destination of U.S. soya beans exports with 22%, followed by China (18%) and Mexico (9%). Increasing trade in a number of areas and products, including soya beans, was one of the Joint Statement‘s objectives, as agreed between Presidents Juncker and Trump on 25 July 2018. The European Commission is following up on its commitment and has been regularly publishing figures on EU imports of soya beans from the United States. Today marks the fifth update report on trade of soya beans with the U.S. In terms of the EU’s total imports of soya beans, the U.S. share is now at 72%, compared to 36% in in the same period last year. This puts the U.S. well ahead of Brazil (21%), the EU’s second main supplier, followed by Ukraine (2.3%), Canada (1.8%) and Paraguay (0.7%).